The lived body is a body of feeling awareness embracing all that we experience – in other words it is a distinct subjective body in its own right, one which belongs to the very essence of our own and all other bodies. Therefore expressions such as ‘lived body’ or ‘felt body’ should not be thought of a referring to nothing more than the so-called ‘physical’ body as we feel or experience it from within. In reality it is the other way round – for what we perceive as our ‘physical body’ (including external examination or scanning of its internal organs) is essentially nothing but the inwardly felt or lived body as it is perceived and conceived from the outside – ‘exteroceptively’ rather than ‘enteroceptively’. That is why no amount of so-called ‘internal’ examination or technical scanning of the physical body – which again, is itself just another way of viewing the body and its organs “from the outside” – will ever reveal the nature of the lived body or life body. For as a body feeling awareness it consists not of visible cells, tissue and organs but invisible patterns, tones, qualities and flows of feeling awareness. It is these patterns, tones, qualities and flows of awareness which shape the lived experience or ‘consciousness’ of individuals and constitute their lived body. Of course it is difficult to persuade a ‘scientific’ biologist that behind what appears “from the outside” as a mere three-dimensional object in the form of the human body lies a vast, multi-levelled and multi-dimensional realm of patterned qualities of subjectivity or awareness – given that this realm is totally invisible to them and un-measurable by any microscopes, scanners or technical instruments. The very attempt to persuade medical scientists and practitioners of the existence of this would would be like attempting to persuade someone who cannot read that behind the visible ink marks on pages of book or the pixels on a screen of text lies a vast multi-dimensional world of meaning – one also invisible to the senses, and one which no electronic, radiographical or chemical analysis of the ink marks on those pages will ever reveal. The German verb leiben (‘bodying’ or ‘to body’) is associated with the German word for ‘life’ (Leben) and experiencing (Er-leben). It is through the lived body that we quite literally embody or body these felt tones or ‘moods’ of feeling awareness – ‘feeling tones’ – allowing them to find expression in cellular, skin, muscle and organ tone, as well as in the tone of our voice and speech. That is why the lived body is also the very essence of the human ‘organism’. For it is that tonal ‘instrument’ (the root meaning of the Greek word organon) through which our biological organs themselves are given form out of specific moods and patterns of feeling awareness or feeling tone – whether in a way which is either healthy or ‘sound’ or muddied, discordant and ‘unsound’. This is the real reason we speak of someone’s health or a particular organ being or not being in ‘sound’ condition. The human organism then – indeed any organism – is nothing ‘biological’ in the narrow conventional sense. It is ‘biological’ only in the essential sense of being that instrument or organon through which life (Greek bios) articulates and expresses itself in the form of fleshly organs through a type of speech (Greek logos) that literally gives life to and ‘in-forms’ our fleshly organs – giving bodily shape and tone to organised patterns, shapes and tones of feeling awareness. As the very essence of the organism, the life body is essentially made up of such organising field patterns of awareness. It is these organising patterns which not only structure but also lend specific tones or ‘moods’ to individual consciousness – to a person’s thoughts and emotions and to their overall experience of themselves, their life world and other people. Organising ‘field patterns’ of awareness are also what shape and organise that larger patterned field of awareness that we experience as our outer life world or sensory ‘environment’. Language too however, is a highly organised structure which can be said to consist of ‘organising field patterns of awareness’ of a sort that shape our experience of life and perception of the world. We do not simply see such ‘things’ as tables, chairs, animals or trees – instead we experience a gestalt of sensory phenomena as ‘a table’, ‘a chair’, ‘an animal’ or ‘a tree’. Words therefore influence our very perception of the world. Understanding language itself as made up of organising patterns of awareness makes it an integral part of the human organism as a whole – and not something that can be regarded as an activity of something we call ‘mind’ – let alone treated as the mere property of a localised organ such as the brain. It is because it is an integral part of the human organism as a whole that that the body and its organs itself figure so strongly in language itself – not just in countless figurative expressions relating to bodily organs such as the heart (feeling ‘disheartened’ or ‘a stab in the heart), parts of the body (‘having one’s feet on the ground’ or ‘handling’ a person or situation) and bodily functions such as respiration (feeling ‘stifled’ or having ‘no room to breathe’). At the most basic level the body figures in the mere use of simple prepositions such as ‘in’ and ‘out’, ‘on’ and ‘off’, ‘up’ and ‘down’ (being ‘onto’ or ‘into’ something’, feeling ‘down’, ‘off’ colour’ or ‘out of’ one’s mind) as well in simple adjectives such as (feeling) ‘high’ and ‘low’, ‘up’ or ‘down’ . For all these expressions arise from and reflect our lived bodily relation to space – as also does the figurative use of words such as ‘upset’, ‘unstable’ or ‘imbalanced’ and expressions such as ‘leaning to one side’, ‘finding one’s balance’, or ‘shifting’ one’s stance or attitude, posture or position. This pervasive bodily dimension of language itself was first explored by Lakoff and Johnson in their book Metaphors we Live By. Yet it also lends support to the basic principles of Life Medicine, as well as to what Freud called ‘organ speech’ (Organsprache), a concept that led him in final years to formulate what he called ‘The Second Fundamental Principle of Psychoanalysis’. This was the principle that the true realm of the psychic ‘unconscious’ was the body as a whole – not what were still thought of as mere parallel bodily or ‘somatic’ accompaniments or concomitants of psychic states, and also not localised sources or organs of ‘libido’ or ‘libidinal’ sensation. As Luis Chiozza expressed, Freud’s new principle was that what we call the ‘somatic’ is “the way in which the psychical unconscious is perceived by consciousness when its historical meaning does not become conscious.” The significance of this new ‘foundational principle of psychoanalysis’ has still not been registered, for its radical implication is that the foundation and focus of what is called ‘psychoanalysis’ is actually ‘the interpretation of the body’ and not merely some separable entity called the soul or ‘psyche’. Knowing this, Luis Chiozza (Hidden Affects in Somatic Disorders) came to suspect what Life Medicine explicitly affirms, namely that the two dimensions of ‘organ speech’ i.e. figurative linguistic expressions such as ‘feeling stifled’ or ‘stabbed in the heart’ on the one hand, and, on the other hand, experienced bodily sensations or symptoms such as breathing difficulties or heart pains – have a common source. That source is understood by Life Medicine as the lived body as an organism – as a distinct body in its own right made up of organising patterns of feeling awareness. The lived body or life body – understood as a highly organised body of feeling awareness which shapes our conscious experiencing is what used to be called the ‘soul’ or ‘psyche’ – yet in a way that traditionally has failed to recognise that the ‘soul’ or ‘psyche’ as a body or organism in its own right – indeed as the essence of ‘bodyhood’ as such. The body as we perceive it from the outside – ‘physically’ or ‘exteroceptively’ – is essentially a sensory image of the inwardly felt body – our ‘lived body’, ‘soul body’, ‘psychical organism’ or ‘psyche-soma’ (Winnicott). The structures of atomic, molecular, cellular awareness that make up our physical body (what could be termed the ‘physical soul’) also turn it into a sense organ of the soul as a ‘psychical body’. They are what allow us to perceive in outward physical form what we can then inwardly sense and feel as the soul life and soul body of any body – its inner ‘life and soul’. Finally the body as a whole is also a speech organ of the soul as a body – one that finds expression in both in bodily metaphors that pervade and structure language, and in body sensations and symptoms themselves understood as a living bio-logical language – as the speech (logos) of life (bios). Organic functions and capacities associated with the physical body and its biological organs (respiration, digestion, metabolism etc.) are embodiments of organising and ordering functions of awareness belonging to the essence of the organism as our ‘lived body’, ‘life body’ or ‘soul body’. They include our capacities to be open to, sense, feel, breathe in, digest and metabolise our awareness of all that we experience in our lives. Biological organs such as lungs, stomach and heart and their corresponding physiological functions are localised embodiments of these organismic capacities of awareness – capacities that can in no way be localised in any biological organ such as the brain, or any region thereof. 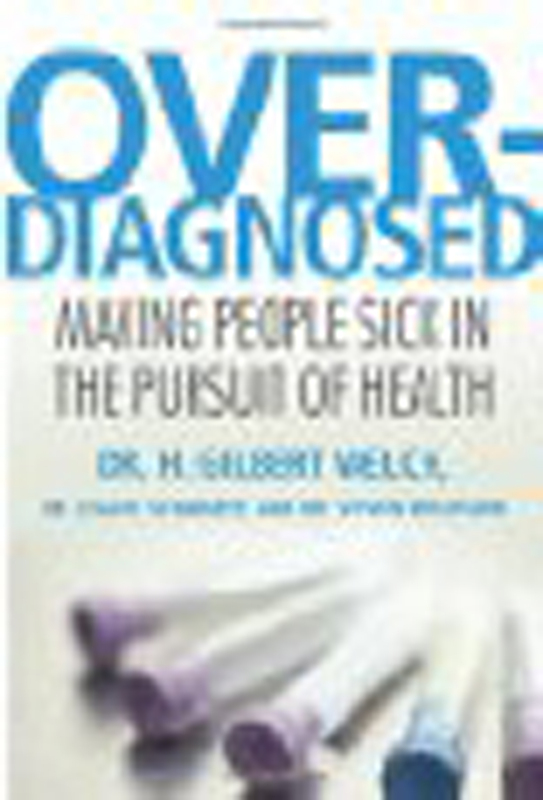 Hence an absence or dysfunction of these capacities of awareness – for example our capacity to be open to, feel, breathe in, digest and metabolise a discomforting element of our lived experience or life world – may body itself in what biomedicine sees as a purely ‘organic’ or biological dysfunction, defect, disorders or ‘disease’. It is the organising, ordering or ‘organismic’ capacities of the lived body that allow us not just to remain open to, sense, feel, take it, digest and metabolise our experienced life world – but also and in this way to (a) make sense of our lives and life world in an organised and ordered way, and (b) engage in life and respond to that world in a meaningful and satisfying way – through what the neurologist Kurt Goldstein called “ordered performances”. By this he meant organised or ordered activities or patterns of action of any sort that we normally are able to engage in in response to our environment – whether basic actions such as moving, walking, talking, clothing ourselves, cooking, eating or fulfilling domestic tasks – etc. or more sophisticated ‘performances’ such as engaging in highly skilled creative, communicative or professional activities and interactions. Loss of or impairments to such ordered life activities or ‘performances’ cannot be reduced to localised defects, dysfunctions, injuries or damage to specific organs, or to isolated physiological functions. Instead they both affect and express a state of the organism as a whole – for they are responses of the organism as a whole to its environment or life world. The effect of localised injuries, defects or impairments on the organism as a whole is not just felt through ‘generalised’ organismic states such as fatigue, moods, attention loss or immobility – nor even through the danger of ‘death’ they present – if by ‘death’ we understand only loss of biological existence). For the fact is that the lived body or ‘soul body’ survives after death. Instead what is threatened by organic disturbances is the life or existence of an impaired patient in a far more basic and essential way – the disruption, diminution or disorganisation of their capacity to actualise their individual potentials by means of specific individual ‘performances’ or patterns of action. When ordinary people get ill through ‘stress’ i.e. 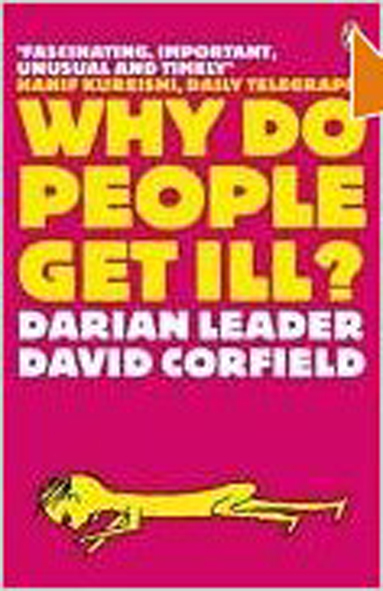 when demands far beyond what Goldstein calls their “average potentialities” are imposed on them – they may recognise an abnormality in their condition, for example they are sick with the symptoms of a cold or flu – an ailment – but they do not regard themselves for this reason as having a ‘disease’. In general however, whatever ‘symptoms’ may be observed, such as high blood pressure, or whatever ‘diseases’ may be bio-medically diagnosed as a result – for example heart disease – all that has actually occurred is a deviation from a biological norm. Yet this scientific norm may have little to do with a patient’s own highly individual norm for assessing their own ‘health’ – understood as their capacity to lead a health and fulfilling life. What biomedicine judges by its own purely biological norms to be a ‘disease’ therefore, is in essence nothing more but an observable change of state of the organism, one that may not only be more or less temporary – but also more or less meaningful, threatening or catastrophic to the health of the patient’s life – not just their body. And it was ‘change of state’, and not merely ‘change of place’ that Aristotle understood as the essence of natural life as motion or process. The Darwinian idea that all species of organism share a basic instinct to simply ‘survive’ and prolong their life at all costs – and independent of its quality – has been transformed by medicine into the idea that its primary purpose is to prevent death at any cost – qualitative and quantitative – to the life of the patient, implying that life itself consisted solely and essentially in just continuing to ‘be alive’ biologically – rather than truly living. That is why, in cases where a patient is left with a remaining deficit or chronic and incurable impairment of their capacity for a particular type of life activity, Goldstein’s view was that it was of the utmost importance to find ways to re-order and if necessary confine or shrink their life world or “milieu”, yet not through mere institutionalisation or for the purposes of medical treatment but in a way that (a) simply reduces the demands imposed on the individual to respond with “ordered performances” in a way they can no longer cope with (or that could thus trigger a ‘catastrophic reaction’) and (b) would at the same time provide the patient with an ordered environment in which they can engage in new forms of ordered activity. Though Goldstein dealt with patients suffering from severe neurological damage, this applies both to people with far less severe illnesses – to which they might respond by taking days off work, staying at home or in bed etc. – all of which are simple ways of confining themselves to a less demanding “milieu”, but one in which they can nevertheless engage in satisfactory ordered activities – even if just watching TV or making themselves cups of tea. ‘Order’ is indeed central to Goldstein’s concept of health and disease, and to the manner in which the physician could serve as a ‘life doctor’ in the most literal sense of restoring health to a diseased life rather than ‘curing’ a diseased organ or organic function. With this final emphasis, Goldstein affirms that the new norm, like the old one, must be an individual one and nothing imposed from without – based on ordered activities in resonance with and satisfying to the individual’s essential nature – and that despite the fact that a portion of this ‘essence’ may have permanently lost its capacity for a full, undefective and ordered expression. 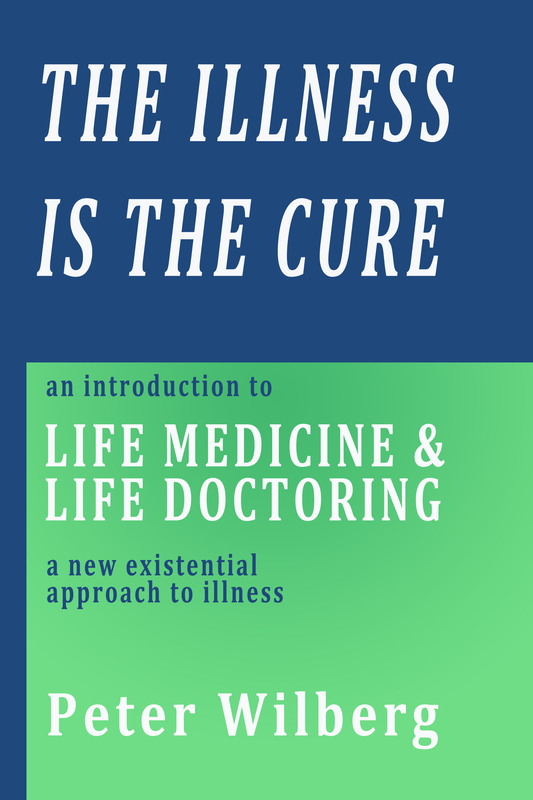 Life Medicine, like the reflections on health and illness that form part of the ‘existential neurology’ of Goldstein, also affirms the significance of free choice on the part of the patient. Thus there may be situation in which a patient must freely decide whether and to what extent to either confine his or her milieu in a way that sacrifices the opportunity to engage in individually valued activities or performances, or alternatively to continue to engage in them within a wider milieu despite the suffering that accompanies them. Whatever the patient decides – with the potential help, encouragement and counselling of the physician as ‘life doctor’ – the outcome is a way in which the patient freely decides to adapt his or her environment or milieu to his own needs and desires – rather than being forced to adapt to them. Recognising this, we have immediately transcended the one-sided Darwinian notion that organisms survive and thrive solely by adapting to their environment – rather than by adapting that environment to themselves or even transforming and changing it to suit their needs, old or new. This is significant given that most people live in two environments. One is a ‘negative environment’ in which social structures and economic conditions actually and constantly deprive individuals of potentials for healthy self-actualisation and instead overload them with demands unrelated to these potentials – often to the point where they cannot ‘cope’ with these demands or the lack of fulfilment they get from meeting them. As a result people get ill simply by virtue of adapting to a fundamentally unhealthy or sick social-economic environment – and are treated simply to restore their capacity to function economically in a way that serve’s that environment. The other environment is whatever ‘positive’ environment or milieu individuals are able to forge for themselves within or outside the negative environment. This positive environment is one that genuinely serves the individual’s need to create a space, not just for recuperation or distraction from the ills and illnesses induced by their negative environment, but also and above all for activities that serve their positive self-actualisation – and with it their essential life health – something that has nothing to do with fads for so-called ‘healthy lifestyles’.